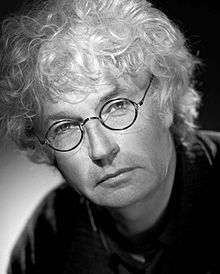 Jean-Jacques Annaud (born 1 October 1943) is a French film director, screenwriter and producer, best known for directing Quest for Fire (1981), The Name of the Rose (1986), The Lover (1991), and Seven Years in Tibet (1997). Annaud has received numerous awards for his work, including four César Awards, one David di Donatello Award, and one National Academy of Cinema Award. Annaud's first film, Black and White in Color (1976), received an Academy Award for Best Foreign Language Film. Jean-Jacques Annaud was born on 1 October 1943 in Juvisy-sur-Orge, Essonne in France. He was educated at the technical school in Vaugirard, and in 1964 graduated from the prestigious film school Institut des Hautes Études Cinématographiques (IDHEC) in Paris. Annaud began his career by directing television advertisements in the late 1960s to early 1970s. In his first feature film, Black and White in Color from 1976, he used personal experience obtained during his own military service in Cameroon. The film won an Academy Award for the Best Foreign Language Film. His third film Quest for Fire (La Guerre du feu) received two Césars for best film and best director. In 1986, Annaud directed The Name of the Rose, a film adaptation of Umberto Eco's popular novel of the same name. The film version, with a screenplay written by Andrew Birkin, won two BAFTA Film Awards and was the subject of another 14 wins & two nominations. Jean-Jacques Annaud spent four years preparing for the film, traveling throughout the United States as well as Europe, searching for the perfect cast and film set locations. He supposedly felt personally intrigued by the project, among other things because of a lifelong fascination with medieval churches and a great familiarity with Latin and Greek. In 2006 Annaud started filming His Majesty Minor, a fantasy-comedy which was filmed in Benitatxell and Benigembla, basically in the district of the Marina Alta, which is located in the Valencian Community. His latest film is Black Gold, an epic drama set in the 1930s Arab states which premiered in 2011. The film was filmed in Tunisia and Qatar. Annaud's most recent project is the film adaptation of the award-winning best-selling Chinese novel Wolf Totem. 1 2 "Awards for Jean-Jacques Annaud". Internet Movie Database. Retrieved 16 May 2013. ↑ "The 49th Academy Awards (1977) Nominees and Winners". Oscars. Retrieved 16 May 2013. ↑ "The 49th Academy Awards (1977) Nominees and Winners". oscars.org. Retrieved 25 March 2012. ↑ Landreth, Jonathan (15 June 2012). "Shanghai Film Fest: Q&A with director Jean-Jacques Annaud". Los Angeles Times. Tribune Company. Retrieved 11 September 2012. ↑ "France's Annaud to direct 'Wolf Totem' in China". 18 August 2009.